Nothing can be more painful or debilitating than arch pain. This can occur in children, the elderly, the sedentary or the athletic. When it happens, it can leave you nearly unable to walk. As with any potential injury, the key to avoiding arch pain is to prevent it from happening. According to Web MD, the definition of arch pain is a burning sort of inflammation in the arch of the foot. There are several possibilities which may cause the arch pain. Let’s explore a few. A common problem that initiates arch pain is a condition known as plantar fasciitis. It is tissue, located on the bottom of your foot, which runs from ‘heel to forefoot’ (Web MD, Foot Conditions Center, 2013). Arch pain diagnosis is not rocket science. It is a process of eliminating possibilities. If you are flat-footed, sometimes the extreme stretching of this band of tissue stretching away from the heel will contribute to pain in the heel/arch area. Pain is extreme early in the morning, or if you have not been very active. Left untreated, it can cause a bone spur to develop. Direct injury to any part of the foot can also cause arch pain. If you step on a board, rock or other uneven surface with bare feet or soft-soled shoes, it can cause bruising and stretching the ligaments and tendons on the bottom of your feet. If someone steps on your foot, that can also contribute to an injury serious enough to cause a fracture. A fracture or injury to any part of the top of your foot can result damage to the ‘primary and secondary structures of your foot’. The most obvious way to prevent arch pain is to wear supportive shoes with, when necessary, off-market insoles. There are various brands that can be found at your podiatrist’s office, any big box or shoe store available and can suit any budget. Never, under any circumstances, wear high heels if you are prone to any sort of arch strain. This will only exacerbate your condition. Try to find shoes with a flexible sole with a high arch support. Not only will your feet thank you, so will your knees and back. If you are flat footed, you can have an orthotic created with heel post and custom designed arch support. This can help to support your foot, keep from overextending the plantar fascia, and alleviate this type of pain. Sometimes, pain relievers and specific therapeutic exercises focusing on strength and flexibility might be prescribed. 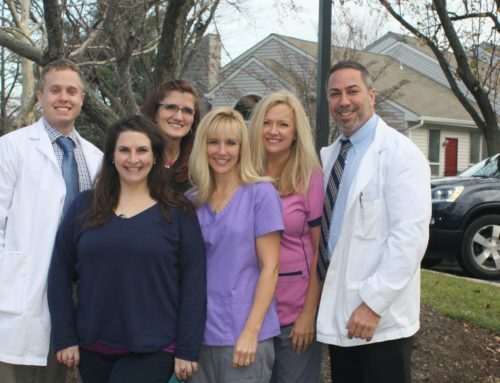 Dr Lefkowitz of Quality Foot Care treats heel and arch pain in his Doylestown office.